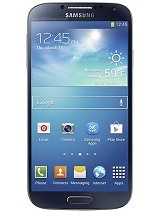 I want to buy this phone please suggest me shall I buy or not? If u really want to hv good performance u hv to reset after update in my case it was hanginng n some how it was showing wifi on all time in my battery stats so i did a reset n it has been good aftr tht. This will also solve unread message problem n u wl not face any issue with NQ security. 1. Download an app called "Super Backup" from play store. 2. Open Super Backup go into apps backup then select all the apps u hv installed by ur self n u dont want to download again frm playstore and click on backup. Now go to settings -> System backup -> now select the restore tab on top of screen, it will show u a backup file with its name as date and time just select it click on "Restore File"
Open Super Backup n goto Apps Backup now again from the top of screen select archived now select all the apps u want to restore n click install. It will keep on asking n just click on yes until all ur apps are installed. But u may lose ur progress in games if u rly care of it. Apart from that phone works much better after the reset n it will ask for some app updates nothing much. i am using this phone from last 15 days.. after kitkat update everything is fine. phone heating its not real issue its common in smartphones especially easily noticeble in slim phones. if ur phone getting very heat in normal use it is having issue. if u playing game,video or net browsing then its fine not to worry.exceed heating 45'c must take further action. If anybody having bug with unread message notification here a solution. go to setting >app >all >click message > click force stop > click clear data > now back to home screen n dont open message app just switch off then on ur phone, still notification showing now just open message then close n back to home screen. ur problem solved. 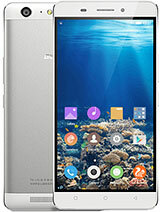 AnonD-266927, 07 Jul 2014Lots of bugs in Note2 and galaxy 4 update to kitkat also.Its strange is it the opearating syst... more@bitss its not the problem with OS . Its the problem with the customization. The Samsung, HTC,gionee etc they do customization on the stock android kitkat which you usually see on Google nexus , moto g etc they doesn't customize properly I.e lack of knowledge ,development and testing leads to bugs in customized versions. 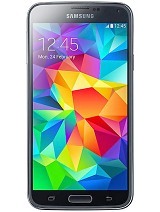 Umesh, 07 Jul 2014@srini, u r rite, even i too updated kitkat on s5.5. same issues like ur's. Also, have u notic... moreI think factory reset should do the revert . But we loose data that's what I am fearing. I am luckily one of the early user of S5.5 in India. Using the phone from last 2 months. 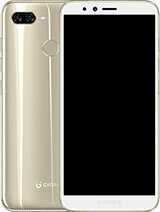 Phone has excellet and elegant design and its trendy. However I have observer the following problem with the phone during my hands on experience with the phone. 5)Whatsapp was not working and I had to factory reset the phone thrice . 6)Touch is not so excellent . 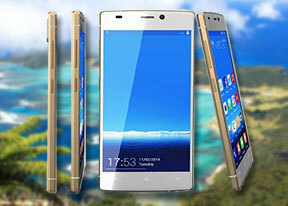 Do not expect the touch quality of high end phone. 1) Network is not as strong as before. Even my wifi struggles. I guess the older radio rom was better. 2) Notification bar sometimes turns white when using dolphin browser/whats app if ur using nova launcher. 3)Overall slightly smoother than before, cant tell the difference really. 4) Heating issue resolved. I played a game for around 15-20 mins it did get pretty warm but not as bad as it would earlier. All metal phones get warm when playing games is what i know. Even my friends htc one. In other notes my battery rapidly charges from 86-100% i.e it increases by 1% every 4-5 seconds. and discharges equally fast from 100-85 below that it discharges at the normal rate. Do you guys have this problem too? their service center tells me this is normal. Well after the update i found 3 major problems. 3 unread message shown when not at all inside. after update in kitkat heating issue solved?? srini, 07 Jul 2014Lot of bugs in the Kitkat update...... :( 1)No unread messages in inbox but showing message n... more@srini, u r rite, even i too updated kitkat on s5.5. same issues like ur's. Also, have u noticed when u press home button, swipe the background apps, u will some some apps in black color. gionee developers should fix all the issues asap. I feel 4.2.2 jellybean was smoothier and better than this kitkat. Any idea how to move back to jellybean? srini, 07 Jul 2014Lot of bugs in the Kitkat update...... :( 1)No unread messages in inbox but showing message n... moreLots of bugs in Note2 and galaxy 4 update to kitkat also.Its strange is it the opearating system or what else. 1)No unread messages in inbox but showing message notification. 2)Contacts doesn't synchronize with the dialer contacts, they show as unknown even if the contact is available. 3)Swipe from notification bar to settings bar doesn't work. 4)Some apps even installed doesn't have icon in appmanager, once we start the app from uninstall manager then the icon appears . 5)Double tap to awake doesn't respond properly. 6)Most worst of all font is very bad. 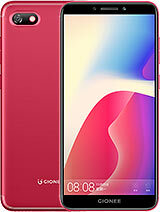 Thankz very much GIONEEEE.... coz f KITKAT update.... Firtly I am disappoint after purchase coz f heating and battery prblm... yesterday i upgrade to kitkat 4.4..Now i am really happy ... superb phone around 21K.. 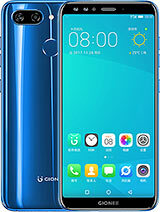 Slim design with two side gorilla glass 3 , powerful processor, good display (AMOLED),nice camera and good sound technology... GIONEE is no:1 mobile under 21000.. 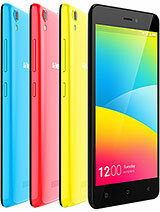 I recent update my Gionee Elife S5.5. After updation I found my phone became slow and usually hangs. Updated NQ Security Apps showing error. 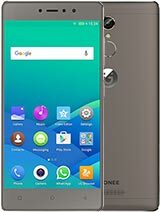 i hav bought this gionee s5.5 phone yesterday,,i want to update the phone is it good after software update? ?